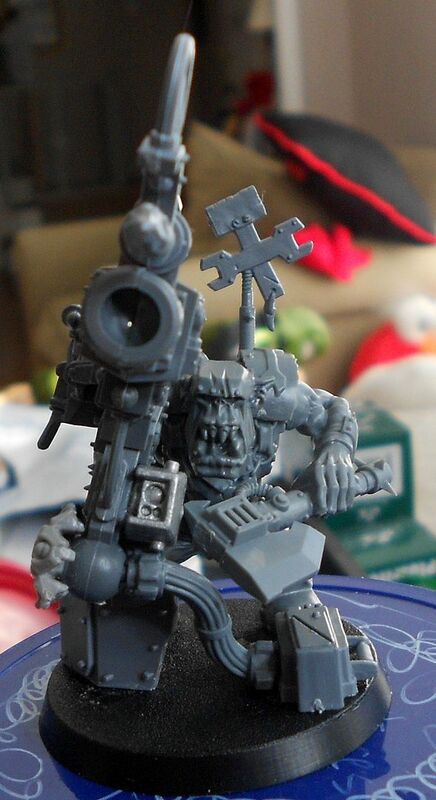 I've always liked the Shokk Attack Gun, from the first time I encountered them in the Epic Ork and Squat Warlords book. I had great fun blowing Titans apart with warp-crazed snotlings back in the day. I love the current SAG model, but have yet to put down the money for one. So, instead I had the urge to try to convert one. At first I looked at a loota kit, but decided that the Big Mek should be at least nob sized, so started with a nob body. The loota frame is too small for a nob, so I started looking around for another good weapon base. 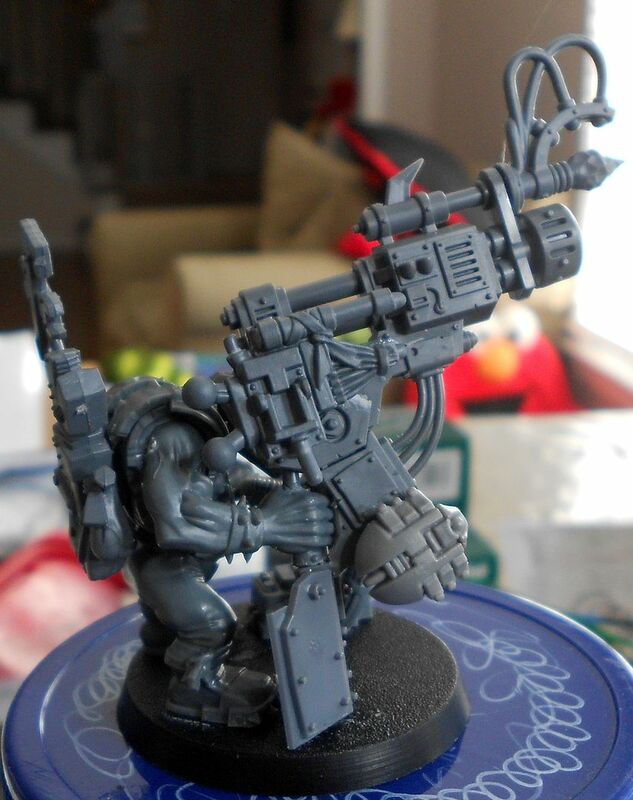 An extra deff dread or kan arm was found, and upside down I felt it could work. Bits raided, stuff added in various places. Toggle switch taken from a loota frame, necron scarab, tau battlesuit head, some skaven warpstone thing ( I think from a doomwheel), bit of plate from a trukk or wagon to brace it on, IG lascannon powerpack. The current plan is to paint the interior of the barrel like you're looking into the warp - pinks and purples with little white dots or something. Choppa for whacking gadgets or banging himself in the head to help him remember stuff. Stuff like: banging yourself in the head with a choppa hurts! Mek tools and bosspole. Metal plate on his head for his bionic bonce/cybork body. 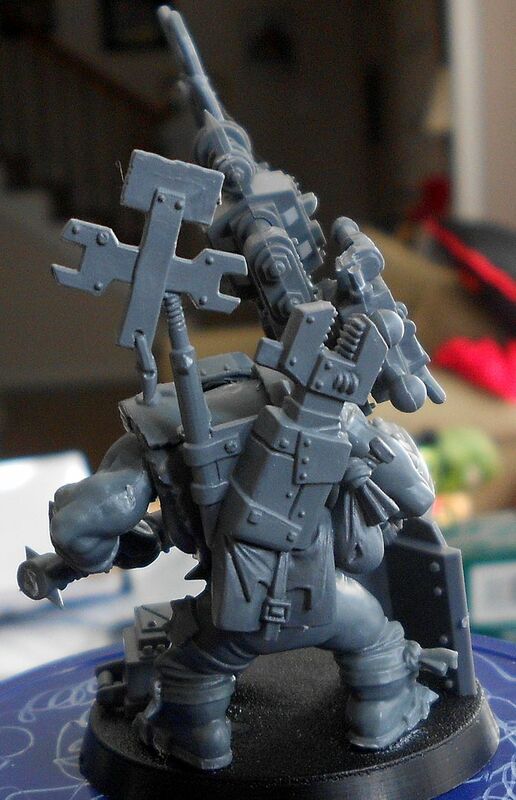 The Scarab is the cherry on top of this Orky sundae. Well done! All the little bits you snuck in there just add to the fun. 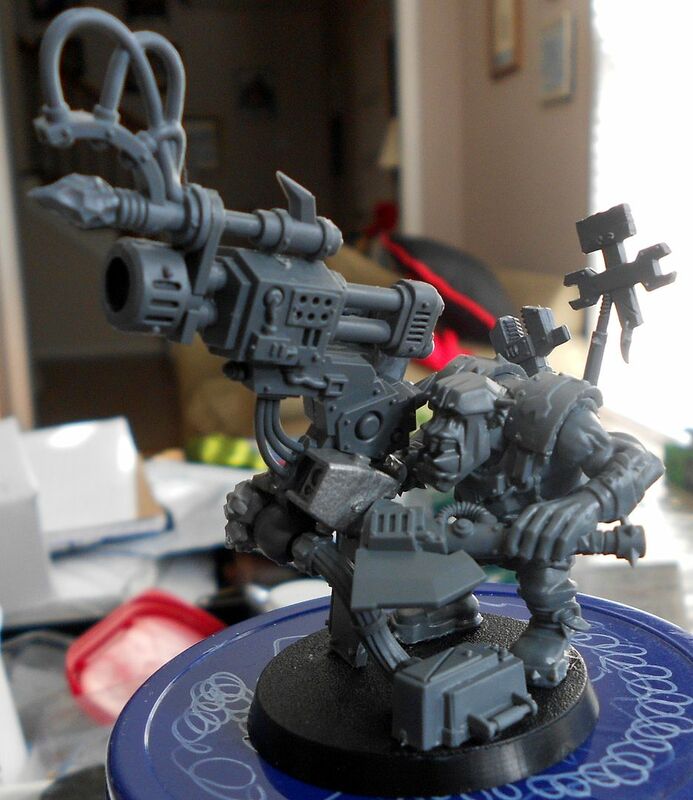 Truly Orky and clearly a SAG in size and execution. Thanks folks! Bits box diving is fun. 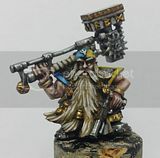 As an Ork player, collect interesting stuff as you go and never get rid of bits!